This was waste lot time to resolve. The Issue is when opening some word file, its giving error " There was a problem sending the command to the program" like that. Microsoft has a solution for this deleting some registry keys but it doesn't solve the issue some situations.Because this seems like a registry issue not a MS Office issue. Why I am saying that even u Uninstall and Install the MS Office the issue is same. I tried another thing that re register the word.exe. But same thing. Finally I went for some system file repair but that also not helped. Even Google solutions also bit away from this matter now. Coz I already tried those all. After I just update windows, in that I found Microsoft office service pack 3 is going to install as a update. I thought this one help me and it was. After restart the MS WORD WORK fine. If u face this kind of error on MS word and can't solve easily, just install MS Office service pack 3 and try. “Intel Inside” this banner we know from long time and most of the PCs and laptops we dressed with this sticker. What does it mean? 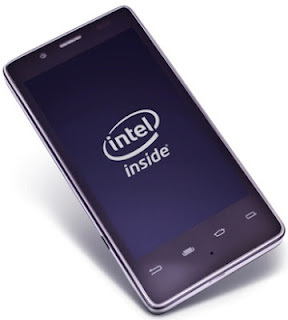 Simple, There is a Intel Processor inside this device. And this is the Intel brand logo from 1991-2005. In 2006 they changed this logo and put just Intel. Now they are moving to Smartphone. With in 5 minutes it will restart your PC and next time restart it will do the same thing. Users are panic in this situation if someone want to get rid of this he want to do something with in 5 minutes. That's way I mention the topic "With in 5 minutes"
Its very easy... Format the PC and install everything, Its a normal idea for the User . Some people think this is the easy way to get rid all error from the PC. If any issue in the PC even a clock has changed, they format the PC. But i think format HDD is not the solution for all PC errors. I suggest that is the last try. OK then what is the solution for this virus issue.